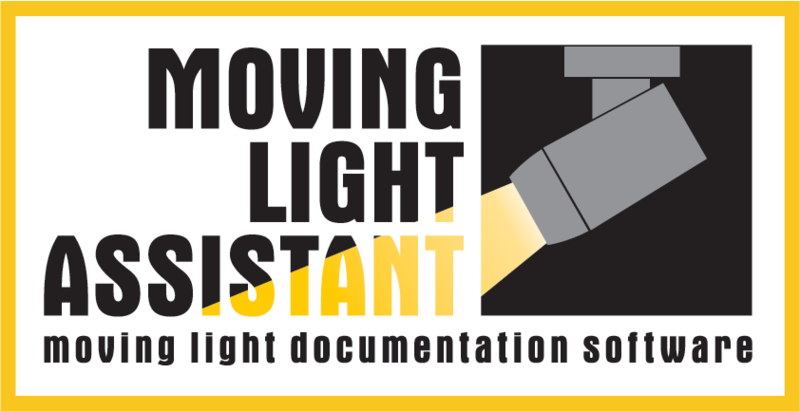 The public beta of Moving Light Assistant v1.3.2 (beta 3) for macOS and Windows OS is now available for download from the Downloads page. This is primarily a maintenance release fixing bugs and optimising features. Please get in touch if you find bugs or issues. Cue List View – Fixed issue where photos 3 & 4 could not be displayed. Preset Documentation View – Setting the first used cue for channels in selected presets now works when multiple presets are selected. Preset Documentation View – When multiple channels are selected, the preset photo is now displayed rather than the last channel photo. EOS Console – Increased number of allowed fixture profiles to 200. EOS Console – Changed import to allow for commas in labels. Console software v2.7.2 onwards changed how it exported commas in labels. grandMA 2 Console – Files for importing are again displayed in alphabetical order on macOS 10.13 onwards. grandMA 2 Console – XML Effect import now handles effect lines where the channel number is different from the fixture number correctly. grandMA 2 Telnet – Optimisations to improve speed sending commands on Windows OS. Watch Folder (Windows OS) – Fixed crash when stopping. Universe View – Fixed bug in largest free address and block calculation. Scripts – Loading of scripts will now be sorted alphabetically. Fixes issue on macOS 10.13 onwards. Scripting – Fixed issue where scripts using RunScript would not end. Scripting – Added new function ComputerControl.ApplicationWindowToFront. Scripting – Added new function ComputerControl.PressKey. OSC – Follow Console in the Preset Documentation view adjusted to reduce flicker on the Windows OS platform. OSC v1.1 now works again. New script to use as a camera trigger script for Smart Shooter on Windows OS. A few scripts have been updated. Some changes to OSC with the EOS consoles required some adjustments. There was a report today from a user that their Canon EOS 1100D does not work on macOS Mojave. This does not appear to be an MLA issue as the Canon Utility software and tethering through the Image Capture application do not work on macOS Mojave either. In testing, a Canon 5D Mkii did work during macOS Mojave beta testing. This is just a warning that if you decide you need to upgrade to macOS Mojave, camera control may not work until Apple or Canon resolve the issue if your camera is affected. If you have already upgraded to macOS Mojave, test your camera as soon as you can so you do not find yourself in a documentation session with a camera that may not work.